Pharmacy compounding is the art and science of preparing customized medications for patients. Its practice dates back to the origins of pharmacy, although compounding’s presence in the pharmacy profession has changed over the years. In the 1930s and ’40s, the majority of prescriptions were compounded. With the advent of mass drug manufacturing in the 1950s and ‘60s, compounding declined as the pharmacist’s role as a preparer of medications quickly changed to that of a dispenser of manufactured dosage forms. However, this “one-size-fits-all” approach to medication meant that some patients’ needs were not being met. HOW DOES COMPOUNDING BENEFIT PATIENTS? 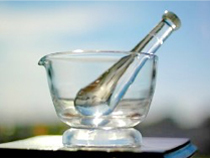 CAN A CHILD – OR AN ELDERLY PATIENT – TAKE COMPOUNDED MEDICATION? The growing drug shortage problem is impacting a range of patient conditions and issues from oral antibiotics that allow pediatric and elderly patients unable to swallow pills to take their medicine, to treatments for leukemia and chemotherapy, to name just a few. Recently, the American Society of Health-System Pharmacists (ASHP) named over 200 medicines on its drug shortage list. During a recent FDA-sponsored forum on drug shortages, a representative from the Drug Information Resource Center (DIRC) reported tracking 210 “new” shortages over the first nine months of 2011, with more than 260 cumulative shortages, new and ongoing. 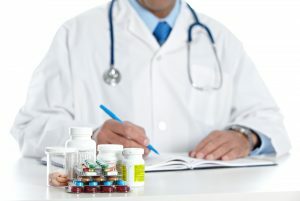 Compounding pharmacists play an important role in providing access to discontinued medications and drugs in short supply by compounding the specific drug—based on a physician’s prescription, using pharmaceutical base ingredients to help ensure that patients get the critical care they require. 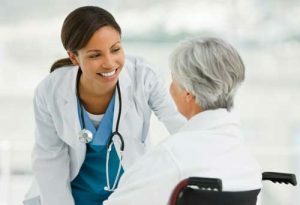 Pharmacists at PersonalMed network pharmacies have access to the highest quality pharmaceutical ingredients, and can fulfill a prescription using the latest research, quality control processes, and testing technologies to create compounded medications that meet the individual needs of patients. To learn more about how compounding can integrated into your current employee benefit and/or plan design please fill out this form to get started.